Click on a thumbnail picture for larger image. Image file sizes are shown in Kb. 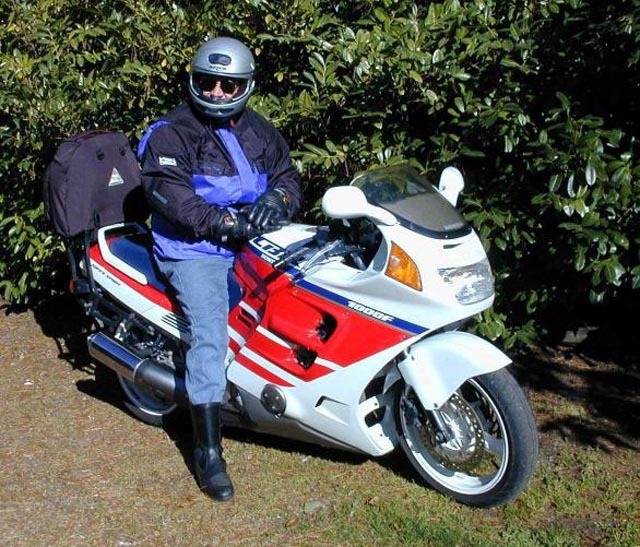 I had my 1985 Suzuki GS850G (83kb) and 1990 Honda CBR1000 dynoed at S&R Pro in Penrith, NSW on a Dyno Dynamics dynamometer in September 2001. The Suzuki dyno curves are available as GS850G-Dyno.gif (39kb). One problem is that the maximum torque value is understated (it was manually entered by the dyno operator) as 30 ft lbs. It should read 42 ft lbs. The engine was originally rated at 77bhp at the output shaft. The original torque spec. is unknown. 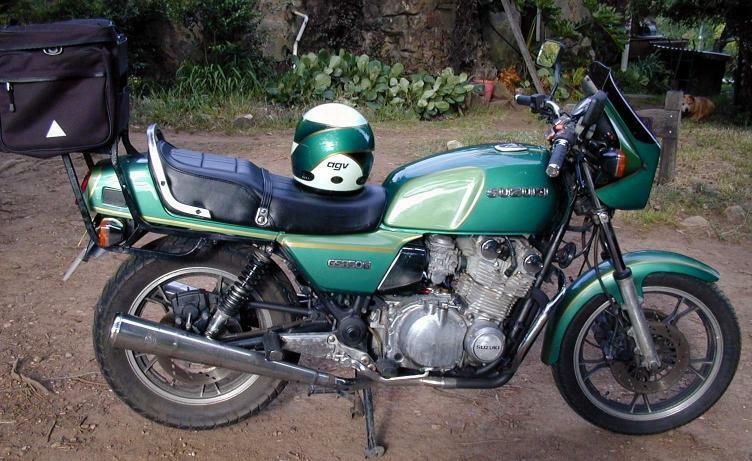 (NB: The photo of the GS850G is after the new owner had it painted. Originally, it was silver and white). The Honda CBR1000F (114kb) curves are overlaid on the Suzuki curves as cbr1000-gs850g-dyno.gif (104kb). The specs for a new bike show the engine power (at the output gear) as 99kW (133bhp). If we assume 10% losses in the drive chain, brake drag, etc., this gives 118bhp - just what the dyno is showing - 118bhp at 9,600rpm. Perhaps the losses shouldn't be as high as 10%, it is hard to believe that an 11-year old bike with 62,000km on the clock would still be putting out full nominal power. 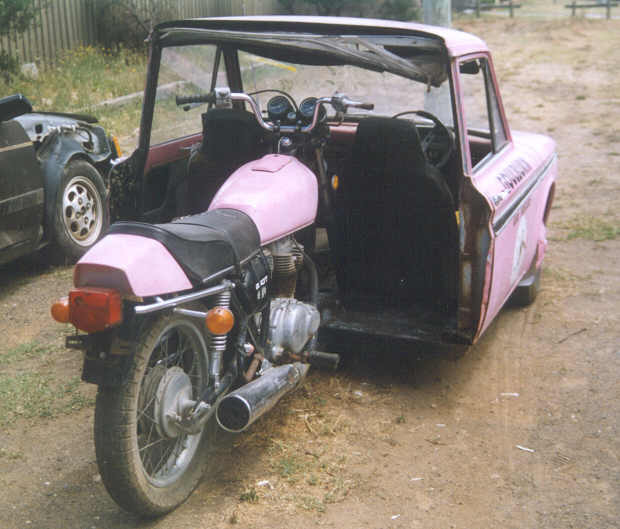 A May 1989 test in Australian Motorcycle News listed maximum power at 129ps (127bhp) at 9,500rpm and maximum torque at 10.6kg-m (75ft.lbs) at 8,500rpm. 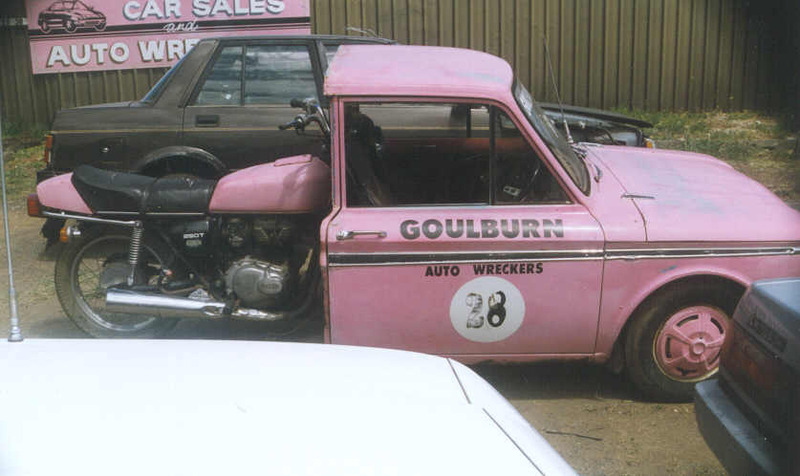 I saw this Hillman Imp/Suzuki 250 Tricycle in Dec 2002 at motor wreckers in Goulburn. 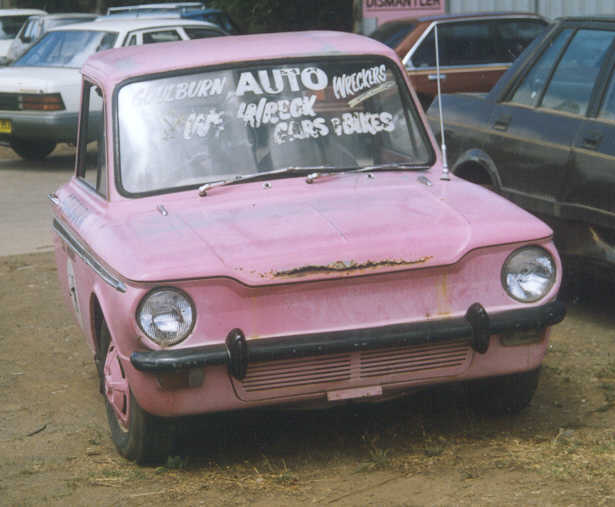 I actually first saw it as an Imp and stopped to look (I'm in the Hillman Owners Club). When I slowed, I saw the motor bike so I had to stop and photograph it. I didn't try to work out how it was controlled and, no, I didn't ask if it was for sale - my wife would have killed me. I've always thought Harley Davidsons were a crook bike. 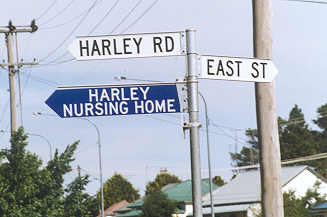 For non-Australian readers, to be "crook" means to be unwell or of poor quality - so a Harley is a "crook" bike. This sign seen at the very appropriately named town of Crookwell (true!) bears that out.